RODEO: Rarely does a rough rider score 90 or more in the Australian Professional Rodeo Association. 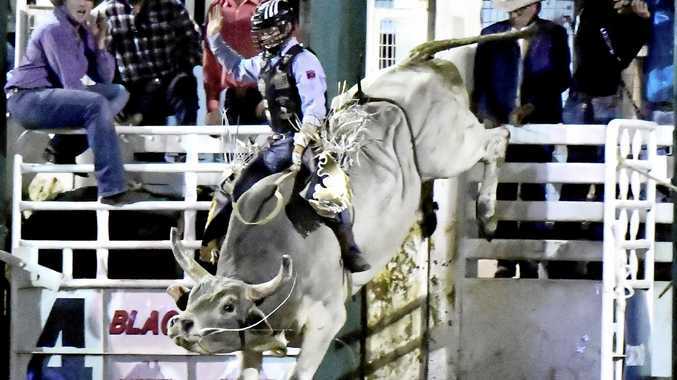 At the weekend, Upper Horton (NSW) cowboy Troy Wilkinson went even better to score 93 on the Gill Brothers bull Hillbilly Deluxe to equal the Australian Professional Rodeo Association bull ride record. Wilkinson won the bull ride round with his 93 at the Xtreme Bulls Rodeo at Penrith at the weekend. He equalled the record set by New Zealand cowboy Fraser Babbington 11 years ago at the Chiltern Rodeo in Victoria. The 93 by Babbington added one point to the previous record when he rode brilliantly at the Chiltern Rodeo on the Garry McPhee bull No Smokin. In 2015, Wilkinson won the APRA bull riding title. He is currently third in APRA bull ride standings behind New South Wales rider Jason O'Hearn and Queensland cowboy Jake Whalan.